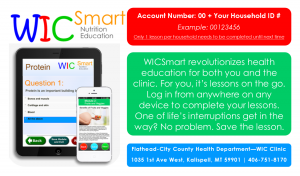 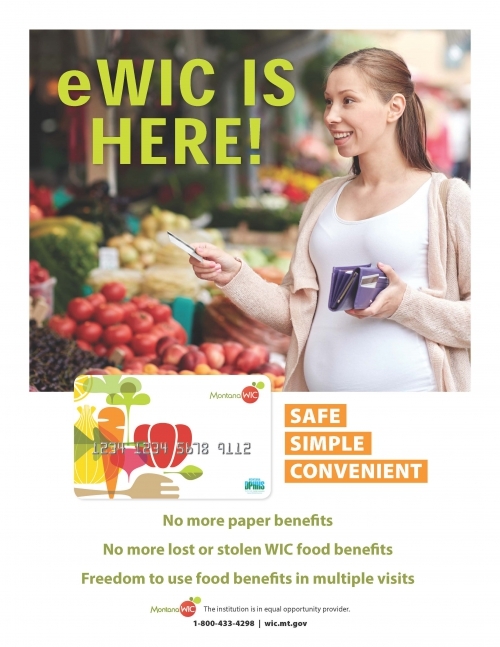 Established WIC participants can download the FREE smartphone app, WICSmart, or go to WICSmart.com to complete nutrition education online and have WIC benefits instantly loaded onto your eWIC card. 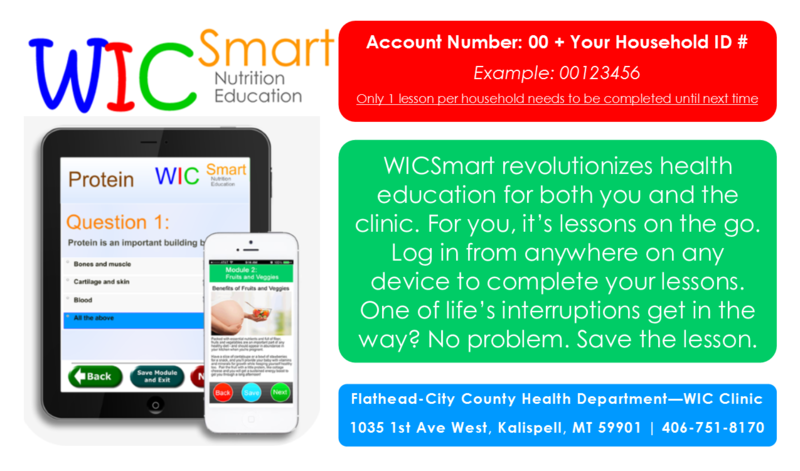 Call us at 406-751-8170 or see our insert to find out easy it is! 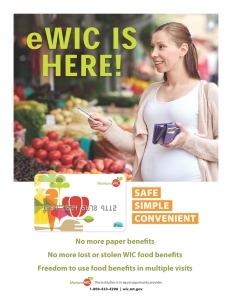 Product Requests: If you see an item you believe should be on the approved food list, you can submit the request here.